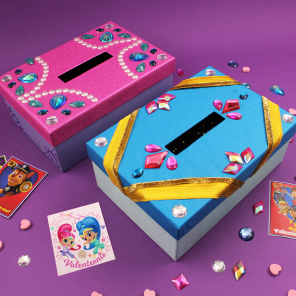 Plan a Shimmer and Shine Sleepover! 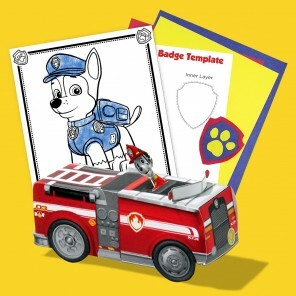 Parents and even grandparents can create a magical, genie sleepover experience. Begin the evening with play time! 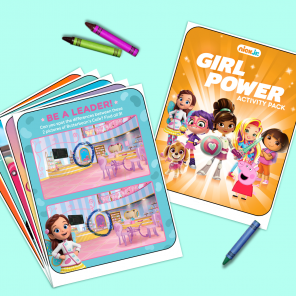 Print these teenie genie paper dolls on heavyweight paper, cut, and start mixing and matching hairstyles and outfits. 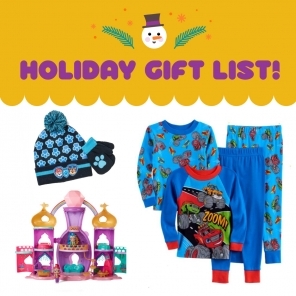 Compare your little one’s “genie style” with your own and celebrate your uniqueness! 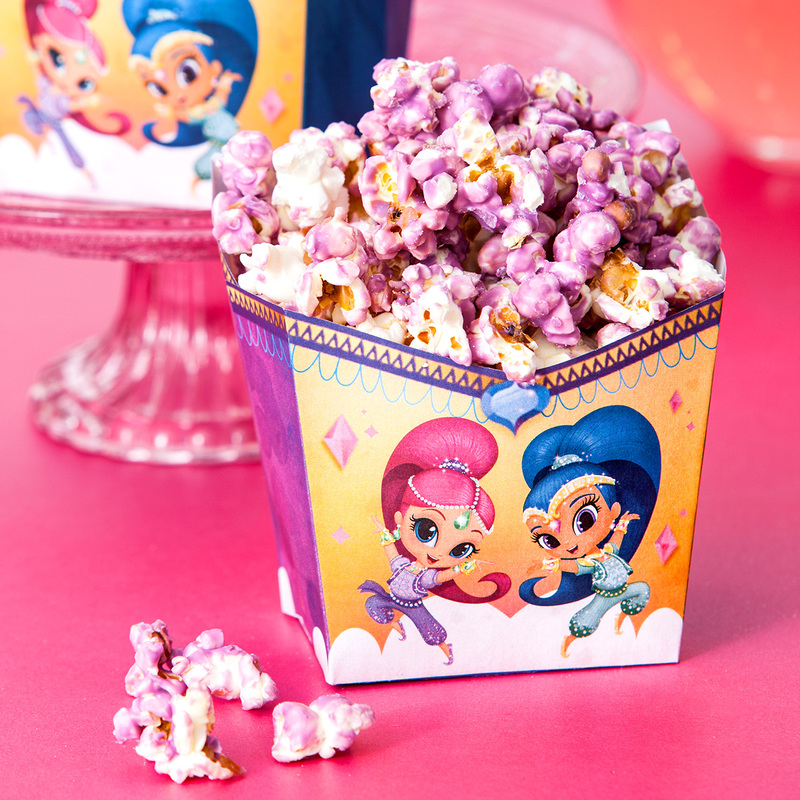 Remember when Shimmer, Shine, and Leah tried to make popcorn in “Lights! Camera! Genies!”? Talk about a #KitchenFail! Teach your kids to experiment–and even make mistakes–by making purple popcorn together. 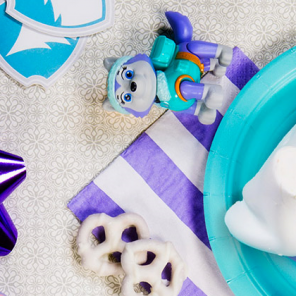 Just melt your favorite candy melt brand in the microwave and toss with your favorite bag of popcorn. 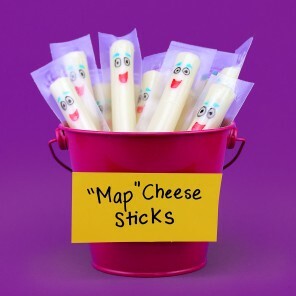 Set in the fridge to harden for ~30 min., then serve it up in your Shimmer and Shine popcorn holders at movie time! 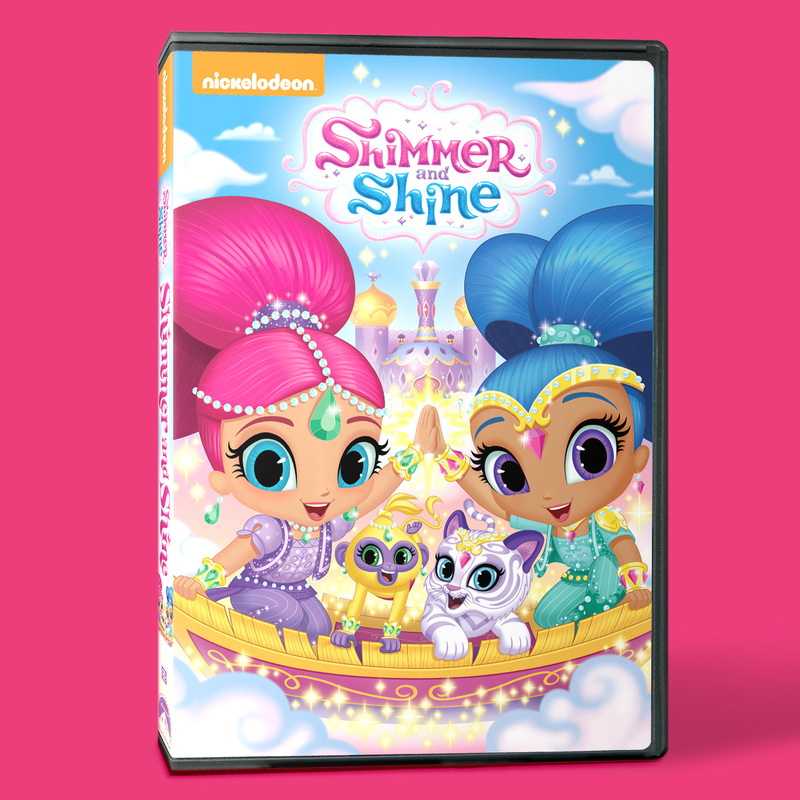 Next, pop in the new Shimmer and Shine DVD so everyone can catch up on your kid’s favorite season-one episodes. Are you all totally pooped out yet? 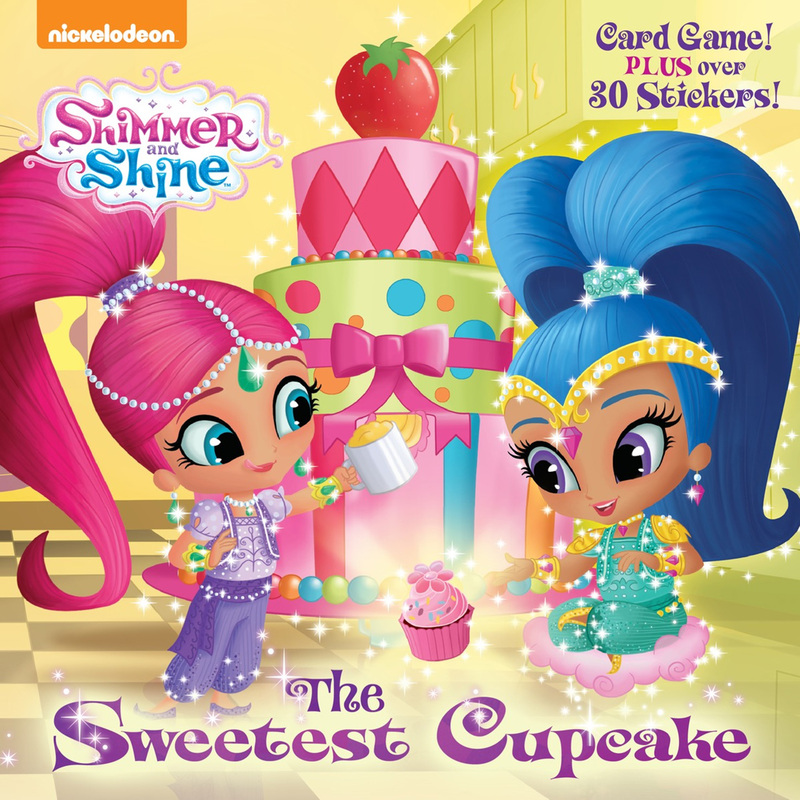 After bath time, cap off the night with a special bedtime story: one of our Shimmer and Shine storybooks like The Sweetest Cupcake. 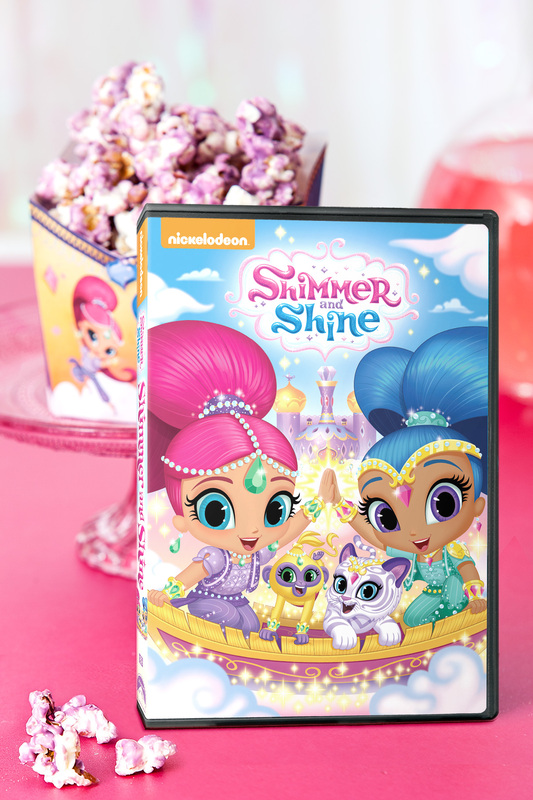 Don’t miss an all-new episode of Shimmer and Shine, “Sleep-over Party,” Tuesday, March 15th, at 12pm/11c on Nickelodeon! 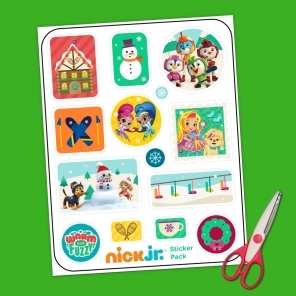 And check out more Shimmer and Shine crafts, printables, and recipes here.